A torrent of books about the Vietnam War has flooded the market, most of them documenting battles, strategy, and personal journals of life during the war. There are far fewer books about soldiers who have returned to that country of conflict four decades later. Most men and women who served during the Vietnam War were only too glad to leave and never look back. I was one of those people until last year when an unexpected phone call had me considering something I never thought I would do…return to Vietnam. The two weeks I spent touring Vietnam made me re-evaluate my life and everything I thought I knew about that country and its people. I found answers to questions I had long buried in my mind and found myself absolved of the indignity I had carried all of those years. A vision into America that I had always suspected, but had never seen opened up before me. 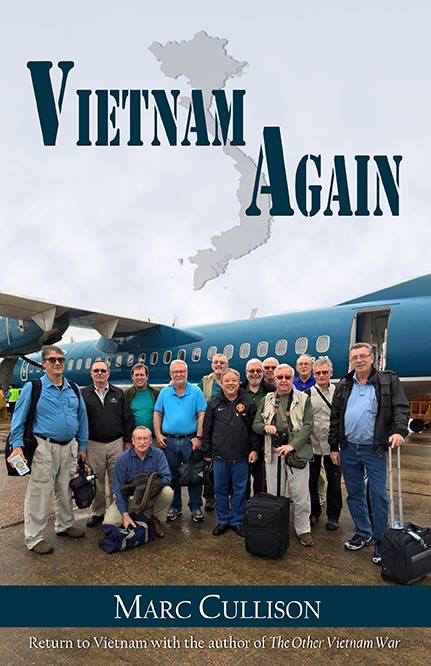 The book, Vietnam…Again, follows our flight into Hanoi and the two-week journey south to Ho Chi Minh City, with stops at Dong Hoi, Quang Tri, Hue, Qui Nhon, Nha Trang, and Phan Thiet. Our tour guide, an NVA veteran, became a valued friend and showed us how Vietnam has evolved and prospered since the war. I found a gracious people who welcomed us as friends and shared with us the beauty and hospitality of their country. This book explains the maturing of Vietnam and visits the ancient cities with the striking architecture and craftsmanship that helps define the Vietnamese people. Listen to this free audio preview!